I'm unclear on how to set my 993 cam timing and was hoping the forum can provide some guidance. I have a '95 993 motor (hydraulic rockers) and the cams I'm running are Web Cam RS Euro cams. Web Cam also emailed me a time card with valve timing information (see below photos). 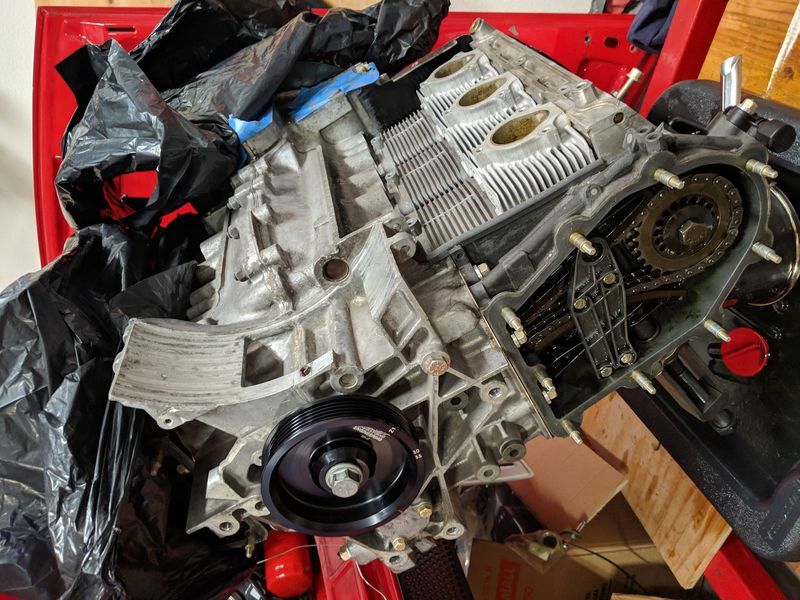 I've attempted to time the cams using the temporarily mechanical rocker, zblock, and dial gauge method, which helped improve how the motor ran (setting it to 1.8 mm) vs before (long story, bought a rebuilt motor that wasn't timed after rebuild). After the motor is timed this way, it still had some knock prone issues. Timing advance was reduced to compensate for the knock tendency but its still not running as good as it can. I've ran leak down (<5-6% each cyl) and compression tests (160-165 psi across all 6, cold) and the numbers look good although there are some valve/piston contact marks along top of pistons 1-3. Rather than trying to re-time the cams again using the mechanical rocker method, I picked up the 993 cam timing tools. 1) With the aftermarket Web cams, which has different characteristics than the factory 993 cams, can I still follow the 993 timing manual and use the factory tools? I'd think the aftermarket cam being different would mean I can't use the factory tools because in my mind, the factory tools are only applicable for the factory cam which has different timing. 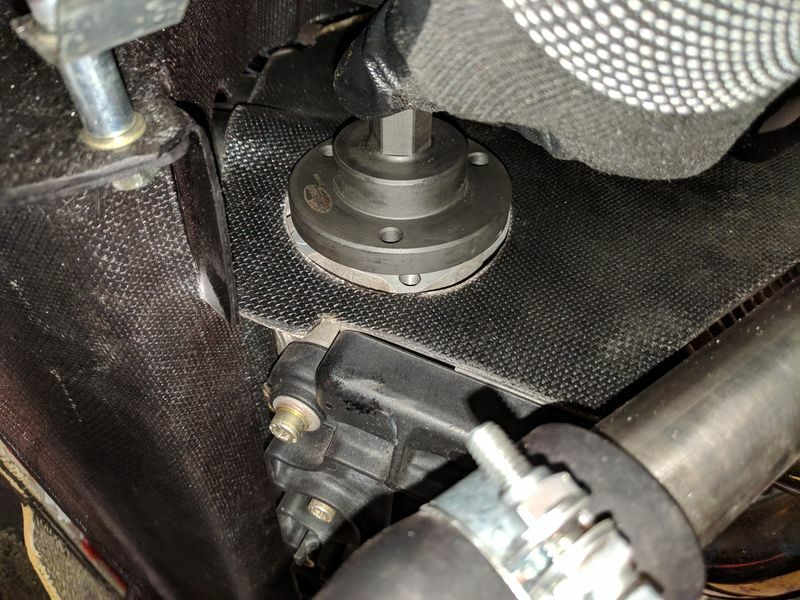 2) In attaching the factory tools to the back of the cams, the mounting holes do not align, suggesting that the cam timing with the mechanical rocker method could be further improved. I guess answering question 1 will answer this question 2, but should I re-time again with the factory tools or do I need to go back to the mechanical rocker, z-block, and dial gauge method since I'm running a non-factory cam? 3) The 993 cam timing tools I picked up are made by Baum. I see in the factory 993 manual that there are supposed to be some "fit bolts" bolts (4) and it mentions without these bolts to mount the cam timing tool, the accuracy of the cam timing may be reduced. I don't understand the purpose of those bolts and if they are essential. Photo 1: Show's left/drivers side cam timing tool in-place. Notice the mounting holes do not align. Z1 on the pulley mark is aligned with the case separating joint. I also confirmed its' on the right cycle via turning the motor to measure leak down (<5-6% on cyl 1). Photo 2: Shows right/passengers side. Tilting the tool to show the bolt hole position. 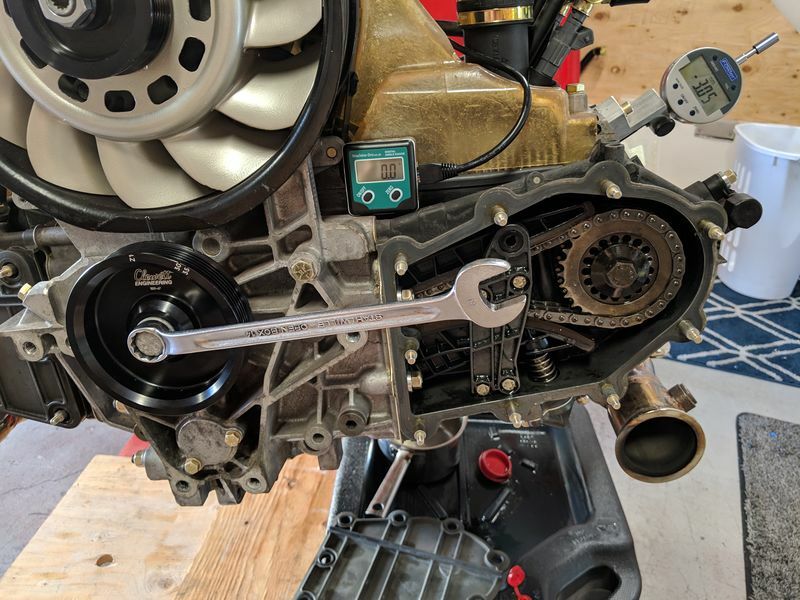 I can't help you, I modified my cams to take the early 901 timing sprockets. You appear to be installing custom cams. Factory tools will only work if the cams are cut the same. You need to get hold of a timing card for stock 993 cams. You could call the cam supplier and ask them what the Intake lift at TDC is when set at 114° ATDC. Or install a degree wheel and degree in the cams at 114°ATDC. If you have any questions, post them and I will do my best to answer them. I went off on a tangent and created another mini-project in order to accomplish my cam timing project. 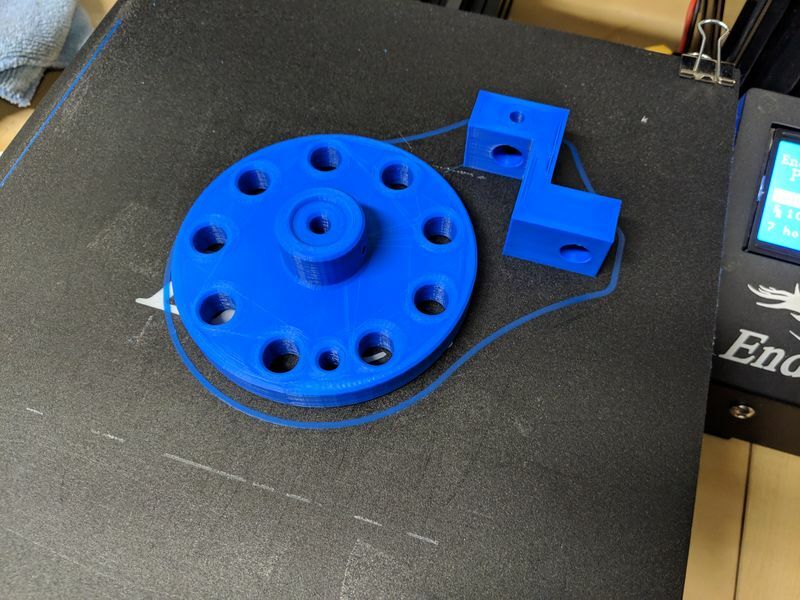 I printed out a large paper degree wheel, but that proved to be a pain (cracking the CD disc i had glued to it for rigidity when i would turn the crank pulley bolt, then trying to use a rubber strap wrench instead but that interfered with the paper degree wheel). I picked up an entry level 3d printer and have been modeling/prototyping an assembly to mount a digital rotary encoder. I will probably print more of this mounting assembly and make it available to purchase for the price of the plastic in the classifieds after I'm 100% done prototyping. 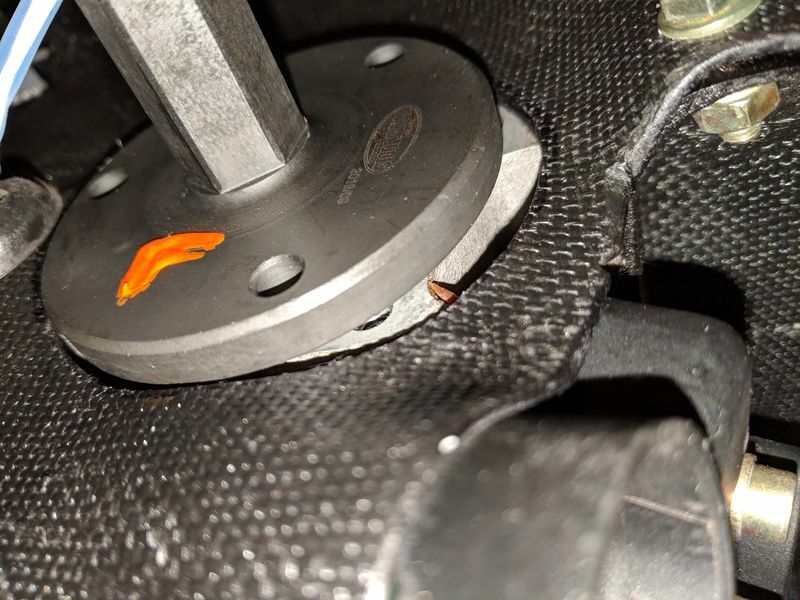 I will of course find cyl 1 TDC using a piston stop and confirm my z1 mark is at TDC with the case parting line, utilizing this 3d printed tool and digital rotary encoder. The digital degree wheel display will give me the crank angle down to 0.1 degree accuracy. After that, I will use a mechanical rocker to check my cam timing. 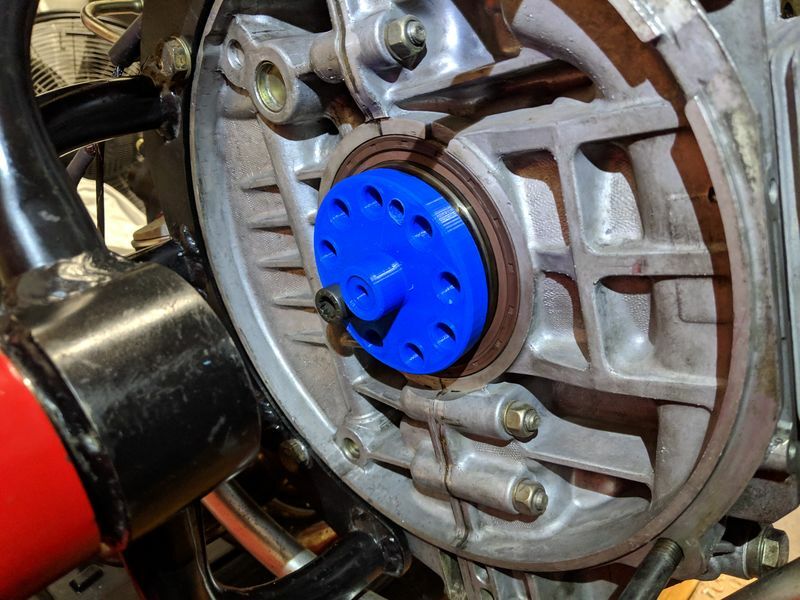 Just to confirm, I will grind the old mechanical rocker and mount the dial gauge such that the dial gauge will measure the vertical travel off the top of the intake valve spring seat of cyl 1 when cyl 1 goes from TDC to the next cycle of TDC (0 to 360 degrees on crank angle). Mechanical rocker will set to 0.1mm free play using feeler gauge on the overlap cycle. Based on info I've received for this cam, I will aim for 1.45mm movement on the top of the spring seat (instead of the 1.8mm the above time card shows). Is this all correct? As another way to measure cam position and set it, at what crank angle should i see max valve opening based on the above time card? Should it be 114 degrees crank angle where i should be measuring largest reading on the dial gauge? Should I also turn the crank clock and counter clock wise to figure out this reading? For example, let's say the cams are at the ideal position (114 degrees?) and I'm turning the crank clockwise, for easy numbers, the dial gauge provides the largest reading (max valve opening) at 110 degrees crank angle. Then I do the same thing counter clock wise and find the largest reading at 118 degrees crank angle. From there, i split the difference, giving me 114 degrees (corresponding with the 114 degrees i should have). The cam timing chains would be tensioned as well during this process. I appreciate if you can chime on the steps of this approach as well. Last edited by lightbulb8817; 03-14-2019 at 12:32 PM..
iz 3d printing I did something very similar. 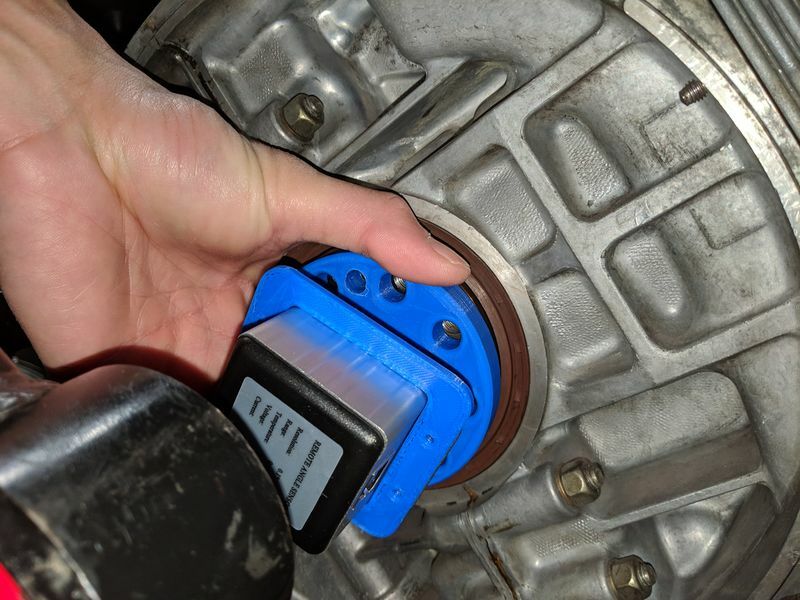 I 3d printed a mount to put my cellphone on the flywheel bolts and used an inclinometer app. 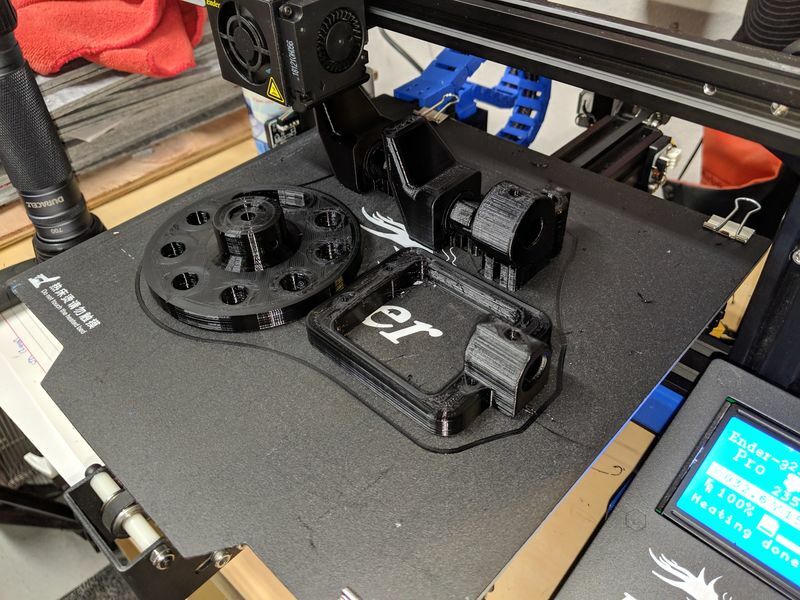 I also printing a plug for the spark plug hole with internal threads for some threaded rod as a piston stop, and finally a block to hold a straight edge for cam sprocket parallelization. I'm getting to the point where my answer for pretty much anything is "3d print it!" Amazing how this tech is helping in the shop. Exactly how i feel about 3d printing. I'm making other parts with it too (larger coat hanger hooks for my truck so dry cleaning doesn't fall down, etc.). I'm just switching to PETG plastic which is much stronger and better to use for parts like this. Got the top end and exhaust removed over weekend. 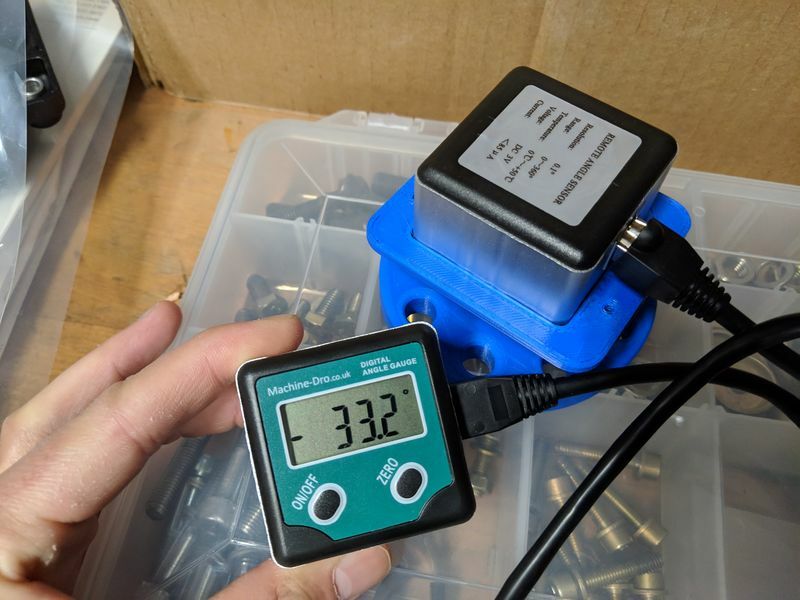 Looks like the cam was set around 3.72mm on the driver's side and 3.05mm at the passenger side for when measuring using a dial gauge / z block at TDC overlap with 0.1mm rocker play. Waiting on my P9191 tool to come in so i can practice timing on the motor as-is motor before i tear it down for new rods/pistons (likely Carrillo). I've been printing a relay base to swap out the round porsche relays for a standard type a automotive relay and selling like hot cakes.